We all like to keep as much money as possible in our pockets when it comes to investing in rental properties. I mean, we are investing to make money. 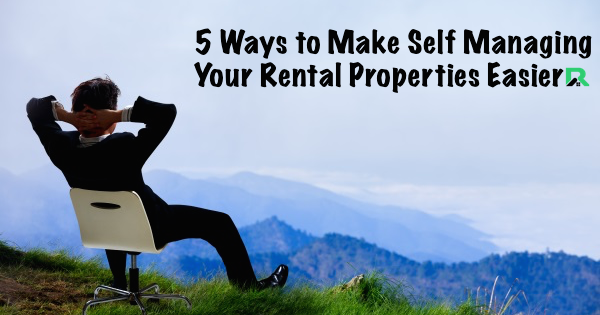 Often, we do this by deciding to self manage our properties. While it is absolutely doable, even if you are working full time, it can start to take a toll on landlords if you don't set up systems and processes ahead of time. Even more, it seems that most landlord learn through trial by error and create the systems once they run into a problem or a crazy tenant. In Show 31, Emily and Kirk share 5 things that they've learned through their own investing and self managing of their properties to make it easier on you. As investors who also have full time jobs and a family, they know that time is money. They don't want to spend every free second at their rental properties dealing with the day to day issues of landlording. They've put in place these systems and are sharing them with you in hopes that you implement them sooner rather than later so that you can enjoy your time doing what you want and still make money. We'd love to hear other things you've implemented as landlords. Leave a comment below to add to the discussion.